OK, you’re moving to a new place or you’re ready to upgrade where you live now. What are the most important features you’ll need in your new digs? Maybe you’d like a fireplace, or a gourmet kitchen, or a great shower. Or maybe…let’s face it, we know you want a man cave. Few Moves Moving Company is with you on this. We have noticed a few man caves that stand out over the years and we think there are some characteristics the perfect man cave should have. You may as well get everything ready so that once you’re moved, you’re ready to set up that perfect man cave. Here’s a brief checklist of elements to remember. Get that huge TV set up in your perfect man cave so you have to sit back to see. You don’t want the guys coming over to watch the game only to end up huddled around a dinky screen. And you want to watch movies in a way that rivals the cineplex. Bring on the popcorn! **Our friends at Connected Home in Leland do a great job designing and installing home theaters. 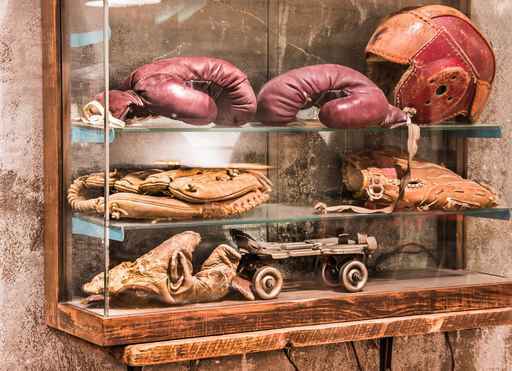 A shrine, if you will of sports memorabilia and equipment from your favorite pros – and your own as well. All your sports equipment, formerly hidden away in closets, can be hung on the wall here to be admired. Here’s a happy home for trophies, team photos, and all the stuff you’ve gotten autographed over the years. 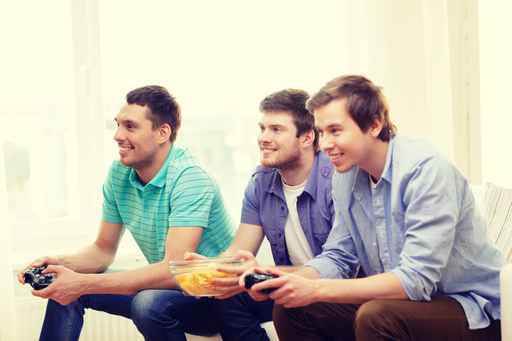 A man cave is the perfect place to keep all your gaming consoles, special “gaming computer” and stash of games. 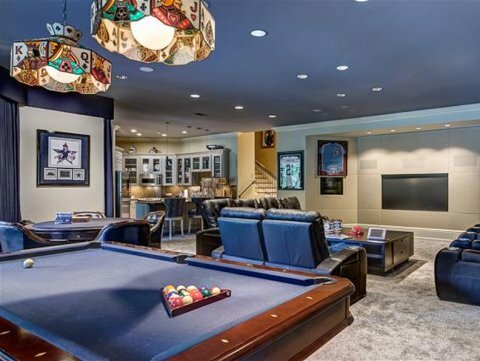 Our favorite man caves have had special furniture and racks to hold and display gaming equipment. We’re men, not slobs after all. Your gaming equipment should be stashed in an attractive, easy-access cabinet when not in use. 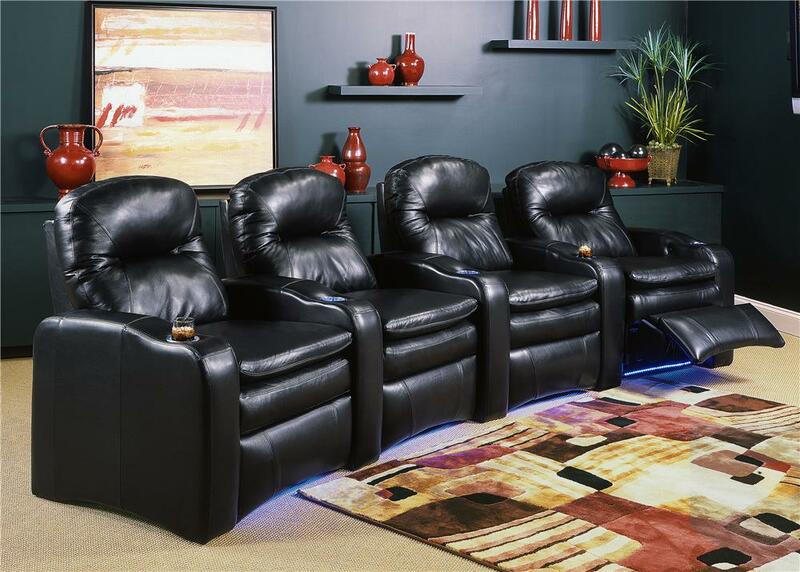 A man cave needs big, comfy chairs and couches for everyone to sit on to watch the game, a movie, or to play a game. Cupholders are perfect. If your significant other hates it, don’t worry, this is your space. Just remember grown men will be sitting on it, so pass on the “gamer chairs” and bean bags. A solid surround sound system will make everything in the man-cave more fun, and sometimes you just want to hear some tunes—preferably loud ones. Have good speakers, some sound-dampening equipment to spare the rest of the house (and neighbors). Probably wise to invest in a nice set of headphones for when everyone’s asleep but you. A fridge and a microwave will do unless you’re really trying to have the ultimate man cave that will keep you and the guys from having to leave to re-stock. A table and chairs can serve double duty for eating or for playing cards in your perfect man cave. Now that your man-cave planning is finished, it’s time to attend to the details of the rest of the move. 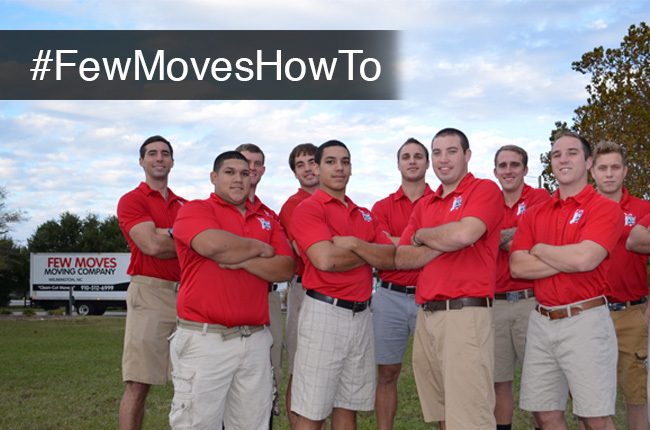 Few Moves Moving Company can help with all the details, making a moving plan that’s perfect for you, whether you’re moving far away or right around the corner. We can pack up everything for you and unpack at your new house, or you can take care of the packing and we’ll do the heavy lifting. Whatever your needs are, you’ll be happy with our services. Give Few Moves a call today at (919) 999-6201 in Raleigh or (910) 512-6999 in Wilmington, NC or request a quote online.